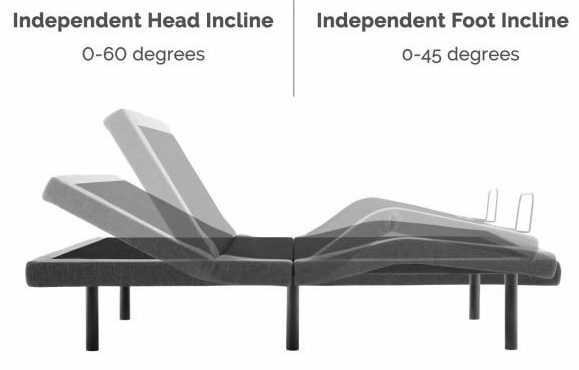 More than a year ago, I wrote about the Tuft & Needle Mattress. At that time I started with an adage from my parents about spending money on anything that separates you from the ground. Shoes, Tires, and your Mattress. I’m going to add to that, the bed frame. When camping, my mattress is a sleeping bag or ground pad, and again last year I reviewed a backpackable camping cot by Therm-A-Rest altering my view of what sleeping on a camp out can be. Honestly a bed ‘frame’ isn’t something I’ve thought about in almost 18 years of marriage. We bought a very solid, utilitarian bed base and foundation to go under our mattress and that was that. It wasn’t something that ‘needed’ an upgrade. 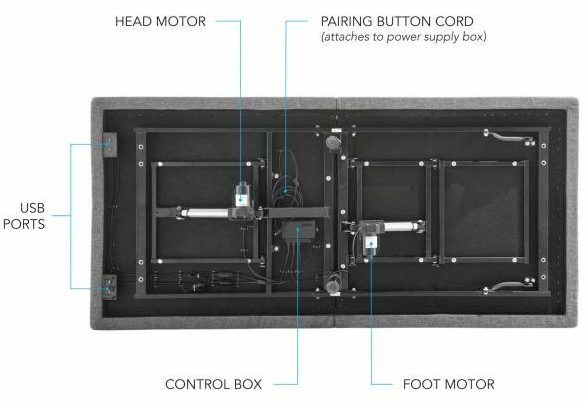 That was until, Lucid offered us an opportunity to test out the L300 Adjustable Bed Base. 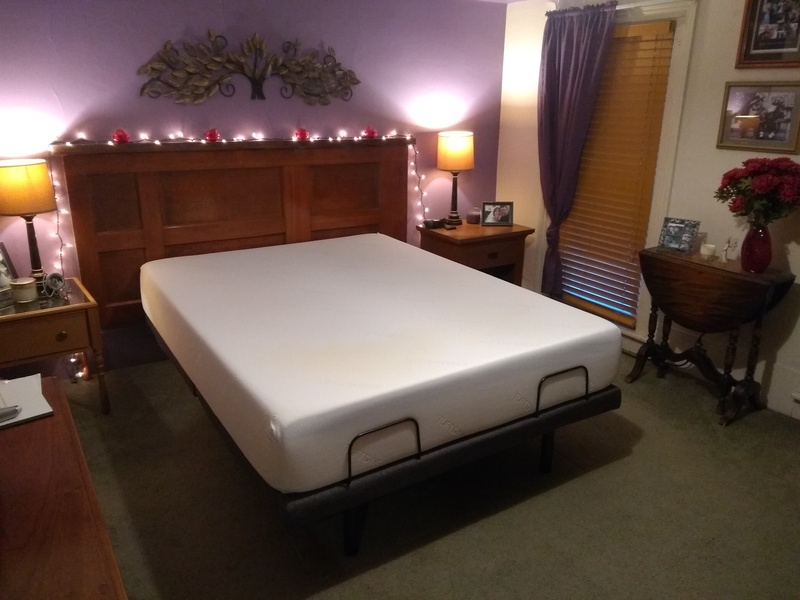 Lucid is based in Nibley, Utah and is an online retailer of mattresses, adjustable bed bases, foam furniture, headboards, and other bedding and toppers. Their main line is latex and foam mattresses fit to you, not just a 1 size fits all product like most online mattress retailers. Honestly, when we bought our bed base 17 years ago we went to the mattress shop, pointed at one, paid for it, and took it home. This isn’t much different. Go to their website, pick a size and quantity, add it to the cart, check out, and wait for delivery. It’s simple online ordering. While Lucid might offer multiple sizes and styles of mattresses, the bases only come in two sizes, Queen and TwinXL. What about a King? Order 2 TwinXLs. If you have a normal King, there is a cord that syncs the two bases movements, if you have a split King (separate TwinXL mattresses) then you can choose to operate them independent of each other one can be up reading while the other goes to sleep. Go watch their promotional video, it’s worth it. That box? That’s a TwinLX. When we got our Tuft and Needle mattress, it was a breeze getting it up our steep stairs in our 100 year old house. The Lucid L300 took a bit more work. First thing is it’s 147lbs and I helped the UPS driver get it off the truck. Many people have online orders shipped to their work address so someone signs for it and it doesn’t get left outside to possibly be stolen. A mattress can fit in the back of a car. This adjustable bed base will not. If you have it delivered to work, you are going to need a truck to move it’s final destination. Also, you need a friend. It’s not just 147lbs. It’s 60″ wide, and 40″ tall and several inches thick when boxed. It’s bulky and heavy. My wife and I moved it inside our house and up our stairs alone. It says a ‘5-minute setup’ on the website, but you’d have to know exactly what you are doing, have an empty room already, and be really strong. Plan a half hour to an hour, but you won’t need any tools other than a box cutter to open the package. Because of the unique middle hinge, you’ve at least got a shot making it up steep stairs and around corners. 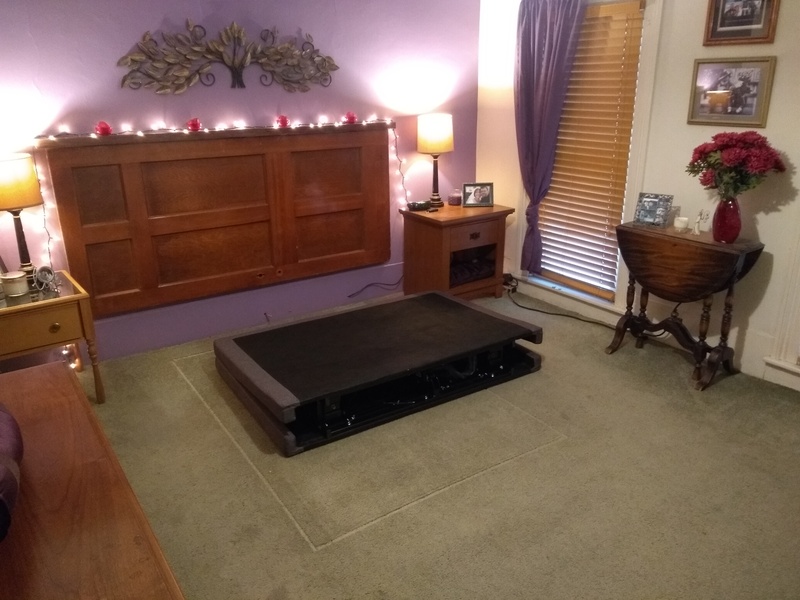 This bed base will get to places other adjustable bed bases simply won’t. 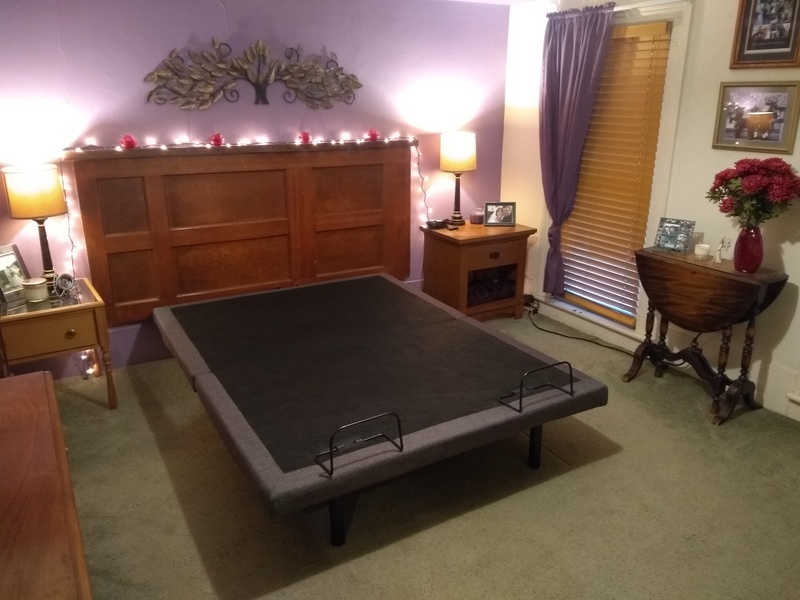 In our house we would never have been able to get a ‘normal’ adjustable bed into our master bedroom. 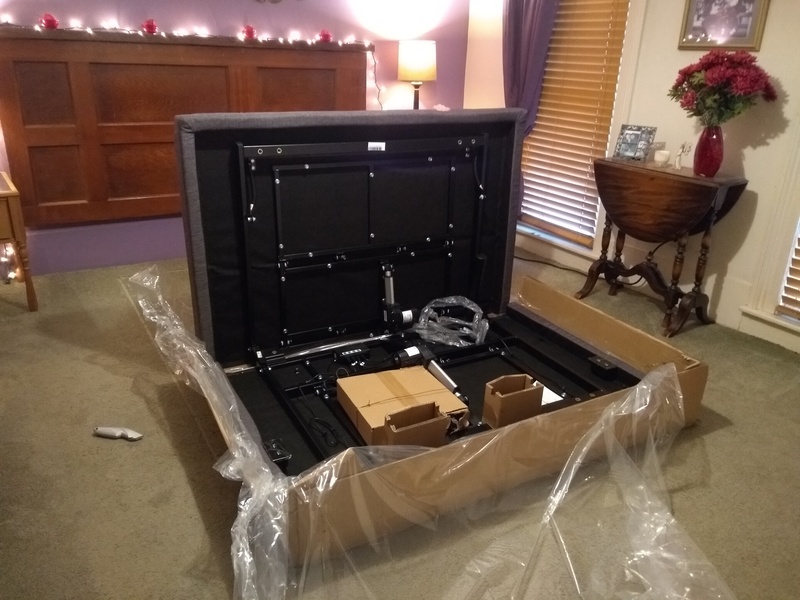 You’ve got a metal frame to grab on and move it around, but it’s padded (which is really nice because ‘shins’) and you can’t grab it by the padding. After cutting off the plastic straps, box and plastic bag, you unfold the frame and have it laying upside down on the floor.  Now is a good time for an inspection (more on this later under ‘Durability’) to make sure you have all the parts. 2 of the 6 legs are attached and you screw in the other 4. There are 2 sets of holes for each leg. The base is built in such a way that if you have a fancy bed frame already, you should be able to remove the slats and drop this down in the middle of it so it looks like a ‘normal’ bed. We are more minimalist, or maybe just unconcerned. We’ve got a headboard mounted to the wall so we chose the outer most holes for support. Clip a few power connectors together, and then flip the bed over, again without grabbing the padded edge. This is doable with 2 strong people, but 4 people make it so much easier. Doing this by yourself is not just ‘not recommended’ I think it would be impossible to do without damaging the base or yourself. Once on it’s legs, there are two brackets to attach at the foot end of the bed. These hold the mattress in place and keep you from sliding on the floor when the head is inclined. They also have the added benefit of holding the sheet down by your feet and have resulted in less stolen covers by my spouse. Slide the bed in place, plug it in, put the batteries in the remote, replace your mattress and sheets and you’re good to go. 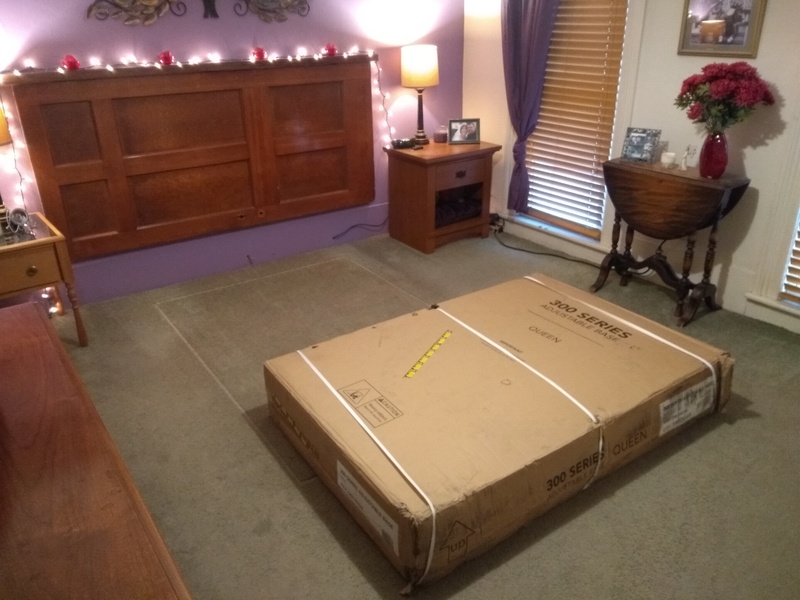 In the end, the delivery and setup are so much easier than other bed bases, but it’s not quite the ‘5-minutes’ listed on the website. The Lucid L300 is one of those products that I wish I’d had earlier. It transformed our bedroom into more than a place to sleep. It became another functional living space. First, sleep. How comfortable is it to sleep sitting up? Have you ever fell asleep in a recliner? Yeah, that good, except now make the chair out of memory foam. Sweet dreams. Next, reading. Ever try to sit up in your bed? Pillows shifted behind your back against the head board and they fall down behind the bed? This problem is even worse on foam mattresses because of the lack of edge support. Not anymore! Movie watching? Same deal. Each side has 2 USB ports and this is fantastic. We went from 3-4 plugs down to 1. 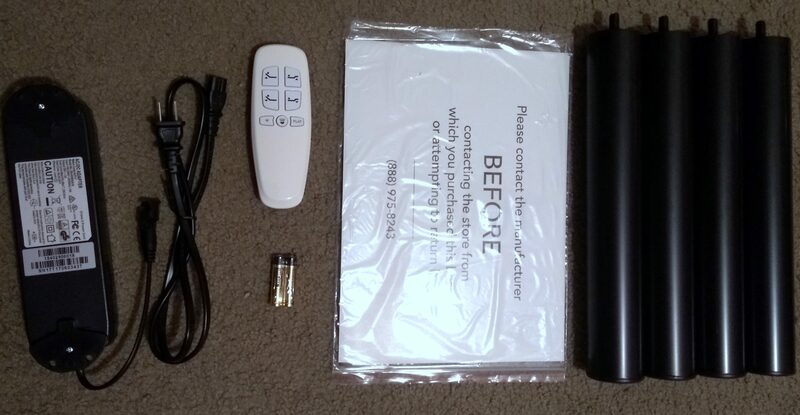 There is even an included option of installing 2 9-volt batteries to power the bed in the case of a power outage. The range of movement is fantastic as measured by use. It’s enough that if you go to extremes, it is farther than what I find comfortable. The Lucid L300 frame supports up to 750lbs and the speed of movement didn’t seem to matter if we were in the bed or out of it. The 750 is inclusive of mattress, people, and bedding. The manual notes: “The power foundation is not designed to support or lift this amount in the head or food sections alone.” Which makes sense. Doing some quick math, our mattress weighs in at 70+lbs, figure bedding at another 20-30lbs giving us 100lbs off the total of 750 and leaving us with 650lbs for people. Dividing by 2 gives us a max of 325lb per person at the outer limits. The motors are very quiet and didn’t interfere with hearing a TV or reading a book. The manual states that the motors shouldn’t be used more than 2 minutes out of 18. 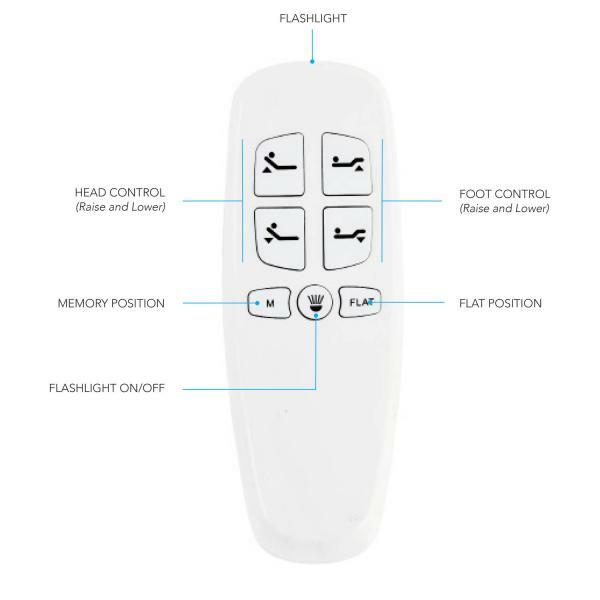 You can only adjust 1 end at a time with the remote, unless you are going to your memory position, or returning the base to flat. The ‘return to flat button’ is a feature I didn’t even know I wanted but we use every time we put the bed back to flat. As far as how much we use it? I’d say every other or every 3rd day we are using the incline features, which is a lot more than I thought we’d use it. My wife is a teacher and she’ll bring the laptop to bed to work on lesson plans. I read. the whole family watches movies. We used it so much that we bought a bigger TV for our bedroom. One of my daughters was not feeling well and stayed home from school, she spent most of the day sitting up in the bed watching cartoons and drifting in and out of sleep. She didn’t have to sit on a couch with any other family members. She didn’t have to get propped up with pillows. She was able to rest comfortably all day long. With the age range of our three children, 6-9-11, we’ll split them up for movie night and the bed is now as much preferred as the couch in our living room. Come summer I’m sure the bedroom will edge out the couch because of air conditioning. Sleeping inclined can also help with sleep apnea and snoring. Worst part? It’s a first world problem for sure, but as the bed inclines up at the head, it also moves you forward making it hard or impossible to reach your bed side table. So remotes, drinks, books, and lights, become unreachable. Second problem is my kids love it. If it ever wears out, I have them to blame. The brackets at the foot-end hold the mattress on the base, but they are also noticeable if you sit on the foot of the bed. You can sit in the middle without feeling them, but they are there if you scooch to one side or the other. Also, every time we adjusted the bed up and then back down we lost the fitted sheet, until we figured out that we had the wrong sizes sheets for our mattress thickness. I didn’t even know that was a thing. This isn’t bad or good, but if you run into the same problem, get larger sheets and they’ll stay on like they should. The first time we put the foot end of the bed up we heard a click, the end shifted down, and then finished going to the top. My first thought was that the motor had skipped a thread and I really wondered how this was going to go. We returned to flat and tried again without issue. We proceeded to use the bed for 2 weeks without incident until I looked under the bed to inspect and found one of the motor mounts cracked and broken. Obviously a problem. We contacted Lucid and provided them with the information from the box/shipping address via email. They responded the next day with instructions that they were replacing the entire bed. They asked that we disassemble the bed for any and all parts we could salvage for future use. When the new bed arrived this time I had 2 more friend join us and help carry setup the new bed. We salvaged the motors, all electronics, remote, wiring, and legs off the first bed for future use if needed. Removed from the base they all fit in 1 standard paper box and we’re storing them under the bed frame. It’s helpful that I’ve got a dumpster for the rest of the frame, but one of my helpers wanted the metal frame parts for a project so he took them. This gave us a chance to really tear the frame down bolt by bolt. First, I’ll note that it is really sturdy and assembled with bolts that I feel are overkill, but speak to the quality of the build, I think they could have gotten away with smaller, but I’m glad they didn’t skimp. What else we noticed during the disassembly was the plastic washers that act as bearings on all the hinged parts. Several were broken in half or torn. We inspected the new bed and found the same problem. So we salvaged those from the first frame and made sure the new frame had washers that were all in good shape. We missed that in the first inspection, be sure to look for it. It wasn’t convenient to fix it, but at least I had the parts to do it, I’d estimate it took 2 of us a half hour to make all the switches. Since both bed frames had it, I’d suspect more do. In comparing the first box to the second box, the first obviously got beat up in shipping and I suspect that led to the motor mount cracking. I also suspect that this is due to weight, size, and packaging. Both packages felt more flimsy than I expected for a product of this weight and size. From the beginning, Lucid handled our issue the right way the first time. They have a tiered 10 year warranty on the base, Year 1-3 is parts/labor/shipping. Year 4-10 is a percentage of parts on a sliding scale excluding the metal frame, which is fully covered. The base is not for commercial use and is excluded from use specifically in hospitals. The Lucid L300 replaces the need for a frame and the foundation. The bed base we were using can be bought for about $100, and the split foundation we had on it adds another $110. The Lucid L300 ships completed for $799. So the difference is $600. It doubles as a couch, recliner, and transforms a single purpose room into a multi purpose one. I’d say that’s worth the difference. 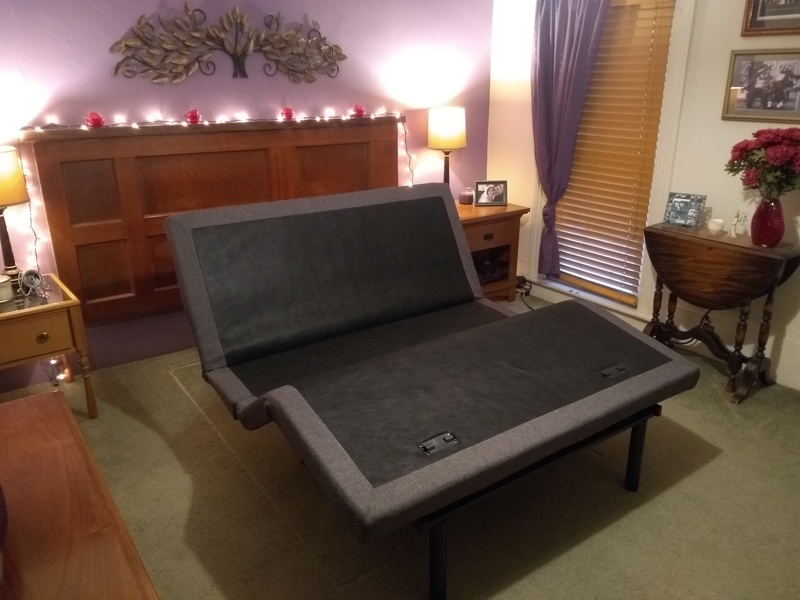 Checking other Adjustable beds it’s more than fair when you consider the full 3 year warranty and the extended 7 years. I found one that was slightly less expensive, but they required driving 45 minutes each way for pickup and only had a 1 year warranty. I found several that were more expensive. I’d say that price wise, the Lucid L300 is on the low end for the money but you get all the features you expect and more.